Skidmore Summer Jazz Institute, (1999 - 2005). 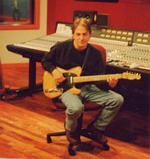 Annual guest lecturer in Writing Commercial Music, College of Saint Rose, Albany, NY (1995- 2000). tour de force with baritone saxophonist, Nick Brignola (Reservoir Records; release date, Feb, 2002). Additional personnel: Eddie Gomez, bass; Bill Stewart, drums; Cafe percussion; 1 original composition. All Business with baritone saxophonist, Nick Brignola (Reservoir Records; October, 1999). Additional personnel: Dave Pike, vibraphone; John Pattitucci, bass; Billy Hart, drums; 1 original composition; Four-star review in Downbeat, April, 2000. This Thing Of Ours (BMC Music; April, 1999). Additional personnel: Rich Syracuse, bass; Dave Calarco, drums. 4 original compositions; Reviews in Cadence, Sept.2000, and at www.allaboutjazz.com, February 2001. Countdown with drummer, Dave Colarco (BMC Music; April, 1997). Additional personnel: Jerry Bergonzi, tenor saxophone; Tom Harrell, trumpet; Fred Hersch, piano; John Lockwood, bass; 2 original compositions. Reviews in JazzTimes and Cadence. "Equation" - CD3 (Hang Records; August 1996). Additional personnel: Rich Syracuse, bass; Gene Garone, drums. 3 original compositions. The Endangered Species - eponymous (Hang Music, April 1994). Additional personnel: Nick Brignola, saxophones, clarinet; Rich Syracuse, bass; Dave Calarco, drums; 4 original compositions; Reviewed in Cadence. Syracuse Jazz Festival, Syracuse, NY (1994). Nick Brignola, J.R. Montrose, Kenny Werner, Dave Leibman, Randy Brecker, Pat LaBarbara, Victor Bailey, Claudio Roditi, Jimmy Cobb, Dave Holland, Alex Acuna, Kenwood Dennard, Othello Mollineaux, Ted Curson, Tom Harrell, Steve Coleman, Jerry Bergonzi, Dave Santoro, George Garzone, Mike Formanak, Jeff Palmer, Joe Magnarelli, John Lockwood, Valerie Ponomorav, Fred Hersch, Ratzo Harris and David Calarco and Dave Pike.